Yummy with interesting color. I never thought of mixing my two fav together avocado and egg! Thanks… Only thing I would do differently is to boil the eggs instead of bake them. It’s take less time (9-10 mins max) and I can stir constantly in the first seven minute (dropping cold egg in cold water) so the yolks would sit perfectly in the middle and won’t give me the lopsided, hard to peel eggs. I bake them as well but I use muffin tins to make sure they do not roll. I’ve heard of that! I was afraid to try it though because I heard it burns part of the egg. But I guess it just depends on the oven, maybe? Ugh, the itchy dresses! I never thought about adding avocado to eggs, I need this in my belly right now! I made these today, AMAZING! So good! Thanks for sharing! Glad you liked them!!! Thanks for linking back and letting me know 🙂 Loved your idea of adding an onion- I’m so doing that next time! Ooh interesting.i haven’t tried it yet. The avocado I had had gone bad 😦 so I’ll wait till a shop is done. Looks so delicious!!! I’m definitely gonna have to mix some avocado in my deviled eggs next time. Great idea! Love the idea of adding avocado to the egg mixture. Simple yet so smart! Is there an advantage to baking eggs rather than boiling or is it your hidden scientific personality just wanting to come out and play? 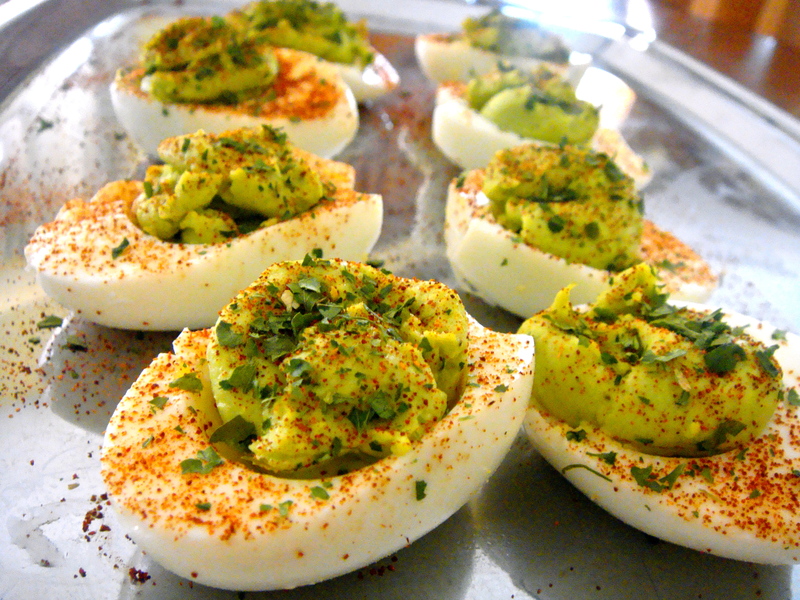 I absolutely love deviled eggs and avocado! How did I never think to combine them? My daughter and I made a chocolate and avocado themed dinner once: chicken with spicy chocolate sauce, macaroni and cheese with avocado, and avocado brownies. Mmmm. Had no idea you could hard boil in the oven! I’ll have to give it a try! YUM!!! These look amazing! I’ve got to try them! 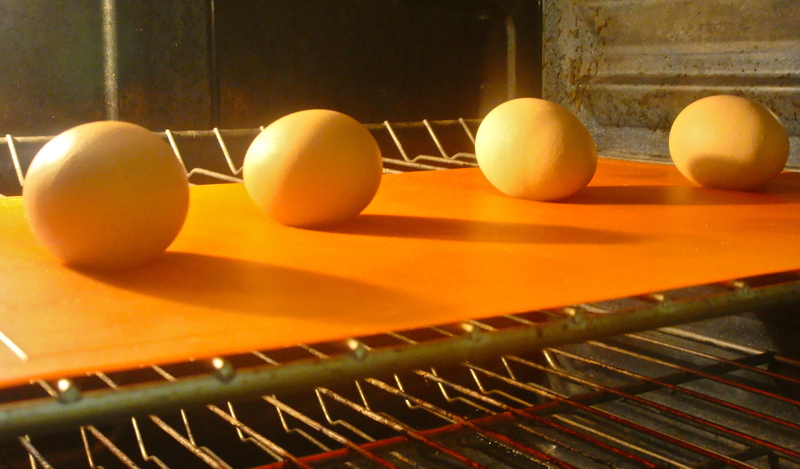 I love the idea of hard boiling eggs in the oven- I have a tendency to forget about them on the stove! Thanks for linking up today. Same! And thank you for inviting me to link up! I love the idea!